The new Dodge Challenger R/T Shaker models with their functional throwback “Shaker” hoods are in hot demand as they start making their way to Dodge dealers across the country. 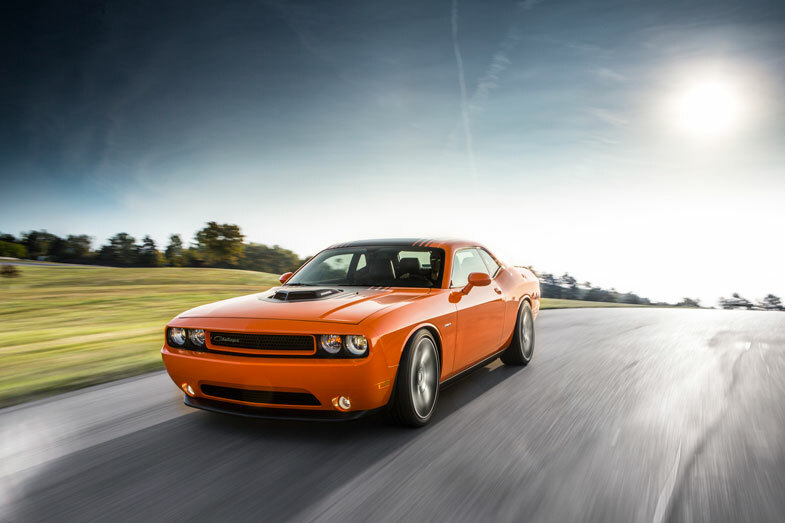 After it was initially introduced at the Specialty Equipment Market Association (SEMA) show in Las Vegas in November, Dodge dealers ordered the entire production run for the 2014 Dodge Challenger R/T Shaker in just four days. Dodge received 2,000 dealer orders from January 7 through January 10 after orders were opened. The new 2014 Dodge Challenger R/T Shakers are shipping out of the Brampton (Ont.) Assembly Plant and starting to arrive at Dodge dealerships now. Pricing for this very well-equipped model starts at just $36,995 U.S. MSRP ($37,495 with the custom one-of-a-kind hood-to-tail stripes), representing a walk of only $2,500 from the Challenger R/T Classic for all of the unique features of this limited production model.